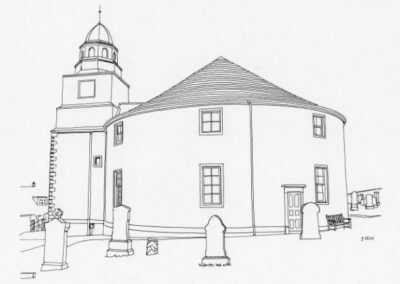 This striking 18th-century church, known as ‘The Round Church’, was built by Daniel Campbell of Shawfield and Islay in 1767 at a cost of £1000. Bowmore is a ‘planned village’ for those of the village of Kilarrow who were not directly involved in the work of Islay Estate, mainly agricultural workers and weavers. 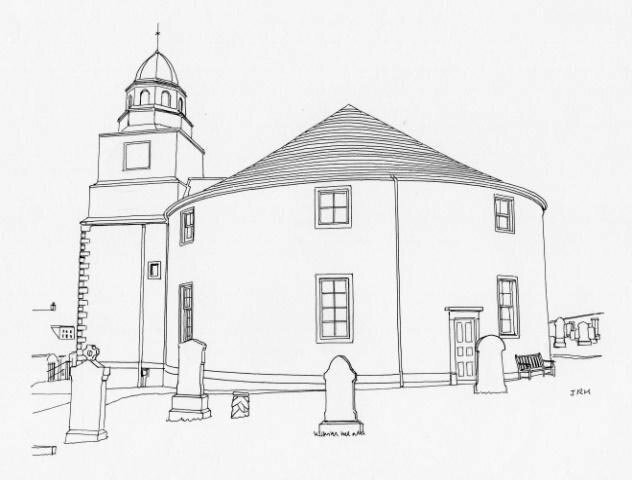 The unusual design of the church makes it the only complete circular church in Scotland. The main wooden central pillar is 19 inches in diameter, possibly of hemlock oak, harled and plastered. Above the coved ceiling is a radial king-post roof truss into which eight major beams are jointed. The church has two storeys, the U-shaped gallery was added in 1830, increasing its capacity to 500. Kilarrow Parish Church is a Destination Hub on the St Columba Pilgrim Journey.